A Bonner County man with a history of challenging local government and, in his words, “confronting socialism” may force changes to the way Sandpoint’s 25-bed hospital has been run for nearly 40 years. 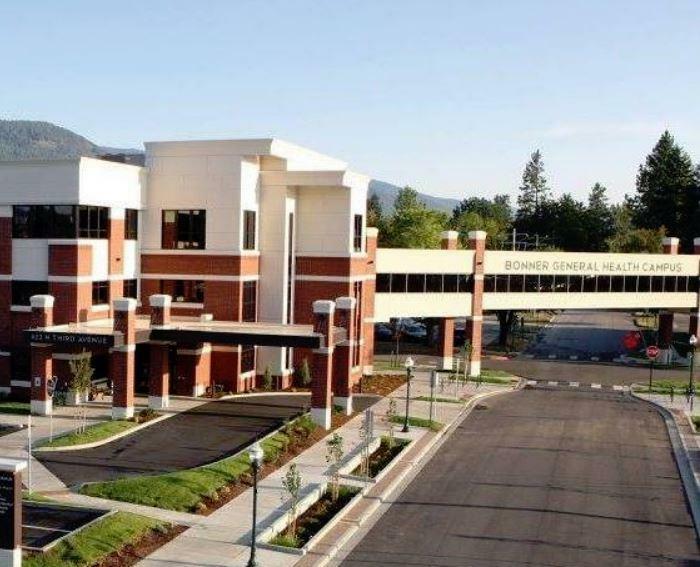 Bonner General Hospital is in discussions with the board of a public taxing district to transfer ownership of some of its clinics in response to a finding from the Idaho Attorney General’s office that payments between the two were in violation of the state constitution. Daniel Rose, who is the only elected member of the taxing district that has no ties to the private nonprofit hospital, has threatened legal action and made accusations of criminal conduct against hospital officials. “It is a misuse of funds, they can look at it the way they want,” Rose said. Ford Elsaesser, a Sandpoint attorney who serves as chairman of the Bonner General board of directors, disputed misuse of funds. He pointed to decades of audits and the past approvals of public funding that pays a small portion of the hospital’s maintenance costs each year. That’s necessary for a rural hospital such as Bonner General that must compete for business with major health care centers in Spokane and Coeur d’Alene, he said. Rose was elected to the board of the public hospital district in 2017. He finished last among five people running for five open seats, thus he won one of the seats. The other members of the taxing district also serve on Bonner General’s board of directors. Rose does not, and began voting against the taxing district’s funding of Bonner General. He then filed a whistleblower complaint, which prompted the Idaho attorney general’s staff to investigate. The attorney general’s office determined the arrangement violated state laws and the state constitution. The hospital district isn’t the first public agency Rose has targeted in North Idaho. In 2017, he and his wife filed more than 100 public records requests with the Lake Pend Oreille School District, according to the Bonner County Daily Bee. The records were sought as voters were asked to support a $17 million school district levy. Months later, multiple candidates filed to run for the school board in what some Republicans saw as an effort to pack the board with adherents of the far-right fringes of the GOP. Those candidates lost their elections, but Rose won what amounted to an uncontested seat on the board of the public hospital district. Rose’s current tussle regarding hospital funding has been reported on Redoubt News, a website aimed at conservatives who have migrated to the region in search of political refuge or to prepare for an apocalypse. But Rose and his attorney, Sean Smith, said adherence to the law, not ideology, is prompting their effort to change the funding practices at Bonner General. Rose said he’s “well-recognized in the community for, how do we say, confronting socialism.” In a January 2018 letter to the editor of the Sandpoint Reader alternative weekly newspaper, Rose accused educational leaders and media personalities in the community of being socialist. Steve Youngdahl retired from the Lake Pend Oreille School Board in 2017, and said Rose routinely would show up at meetings and question spending decisions. Rather than work with school officials on issues he saw as a problem, Youngdahl said, Rose rebuffed any overtures to cooperate. At issue in the Bonner General case are millions of dollars of annual Bonner County property taxes captured by the public hospital district and then transferred to the private nonprofit Bonner General. The arrangement was agreed to in the early 1980s. However, the Idaho Constitution prohibits such tax revenues from being used to support private organizations, which would include Bonner General as a nonprofit corporation. “Idaho’s applicable statutes, in our view, do not authorize the District to simply fund a private nonprofit entity,” Deputy Attorney General Brett DeLange wrote in a letter dated Oct. 16 to both Bonner General and the public hospital district. Elsaesser pushed back on notions that any money was spent inappropriately and said the hospital is complying with guidance it receives from legal counsel. Elsaesser said that such an agreement likely would give an ownership stake of some of Bonner General’s clinics to the hospital district, as was done to resolve a similar issue with two St. Luke’s Hospitals in McCall and Mountain Home three years ago. But Rose and Smith said such an agreement wouldn’t avoid potential further legal action. Published: Feb. 7, 2019, 5 a.m. Updated: Feb. 7, 2019, 8:46 a.m.